The Legal Aid Society of Hawaii welcomes Daniel O’Meara, Esq. as the new managing attorney of the Asset Protection Unit for the firm. Mr. O’Meara will oversee the firm’s housing, fair housing, consumer, tax and foreclosure practice. Previously in private practice with the Dubin Law Office, Mr. O’Meara has a rich and diverse history in foreclosure defense, general civil practice, and real estate. Mr. O’Meara completed his undergraduate and graduate degrees at the Ohio State University and is a graduate of the University of Colorado School of Law. 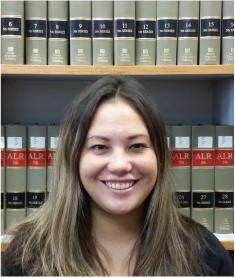 The Legal Aid Society of Hawaii welcomes Christilei Hessler, Esq. as its newest staff attorney in the firm’s Asset Protection Unit. Ms. Hessler will focus her practice in the areas of fair housing enforcement, housing, and consumer protection.